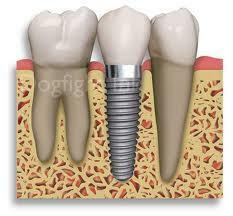 Missing teeth or dentures can be replaced with dental implants. A titanium fixture is surgically placed into your jaw, which serves as an anchor for a crown or a bridge. The procedure involves seeing a specialist Oral Surgeon to place the titanium fixture and then a crown is constructed by us which replaces your missing tooth. 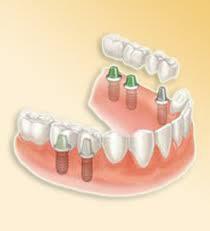 Those who wear full dentures can also use dental implants to firmly secure them into place.